Marketers have sounded email’s death knell over and over, but email marketing is still far from dead. In fact, 59% of B2B marketers say email marketing is their most effective channel in terms of revenue growth. Of course, this only applies when email marketing is done right. Spammy and untargeted email marketing campaigns are a great way to get you into the spam folder, or worse. To make email marketing work for your business, you need tools that help you build persuasive, personalized, and measurable email marketing campaigns that your prospects can’t ignore. MailChimp is one of the most popular email marketing tools on the market. It’s affordable, easy to set up, and easy to use. 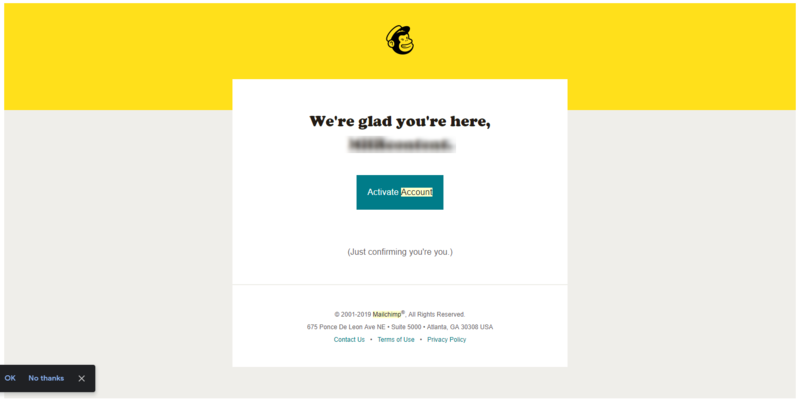 We’ve written this MailChimp tutorial to help you get started. Let us show you how to use MailChimp. If you aren’t ready to buy just yet, start with a free MailChimp account. Just click the button to activate your account, and you’re ready to begin! You’ll be asked to enter some information about your business and provide a physical mailing address. This is necessary to comply with spam regulations. You can then connect social media accounts and sign up for MailChimp’s emails. These aren’t necessary, but they might be useful steps down the line. After that, you’ll be taken to your dashboard! MailChimp will greet you with a step-by-step guide to getting started. If you don’t already have segmented email lists, you may need to do some work to populate them. There are plenty of ways to grow an email list, including the use of landing pages and signup forms on your website. MailChimp even provides you with tools to place pop-up forms and other conversion opportunities on your site to collect email addresses. However, MailChimp has hundreds of other integrations. Even if you don’t use one of these services, you may still be able to import your contacts. *Keep in mind that importing too many contacts may require you to upgrade to a paid account. If all your contacts were previously segmented, they should appear in lists. If not, you can organize each MailChimp contact into unique lists. Your MailChimp email campaigns can consist of a single email, a long sequence of automated emails, or some combination of manual and automated emails. To begin, start with a single email. On your dashboard, click on the “Create” button at the top right. Select “Email.” You’ll then have the option to create a regular, automated, or plain text email, or to run an A/B Test. Select “Regular” and name your campaign. First, add your desired recipients by importing one of your lists. You can also segment these contacts and add elements of personalization here to make your email more effective. You can use pre-built MailChimp segments like “New Subscribers,” “Potential Customers,” and “Lapsed Customers,” or you can create your own segments. Select, who your email will be “from,” then come up with a catchy subject line. To design your email content, start with one of the attractive MailChimp templates provided (unless you have a skilled designer on hand), then fill in the content with your desired campaign information. You can also code emails from scratch or use plain text if you’re old-school. If you have any trouble, you can select from a few different MailChimp support options. 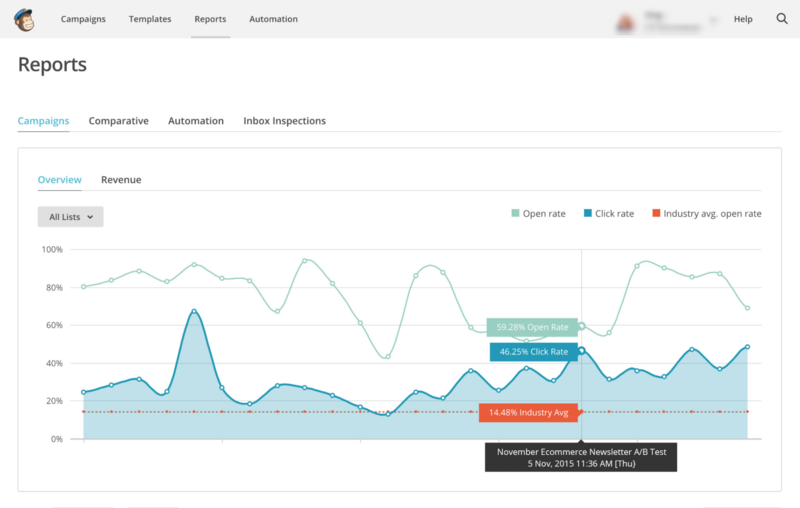 Use automation to launch drip campaigns, to provide customers with information about their orders, or to send customer coupons on special days. It all depends on your business. For example, if you’re an eCommerce vendor then abandoned cart emails, order notifications, and lapsed customer emails are ideal automations to keep your customers engaged. Finally, even if you aren’t based in the EU, you should consider collecting consent from new and existing contacts using MailChimp’s GDPR Forms and their GDPR API. The forms give you suggestions for form fields to help you comply with the EU’s General Data Protection Regulation (GDPR). You aren’t compliant just by enabling GDPR fields. You may need to edit the language of these fields to comply fully. You may also need to segment your lists based on the marketing permissions you’ve received. You’ll have contacts in your database who haven’t opted in accordance with the GDPR. Consider reaching out to them before sending them more emails. If they are in the EU, you could be in violation of the GDPR if you send them emails without their explicit consent. MailChimp support and contact options vary depending on your payment plan, but everyone can access their self-service ‘Knowledge Base‘ as well as their library of MailChimp tutorials and guides. You can view a breakdown of your support options here. If you’re a paying customer you can contact MailChimp directly. Select a topic on their contact page to get started. *Just starting your email marketing and need some help? We (Ladder) will conduct a growth marketing audit of your business and determine how you can integrate impactful tools like MailChimp to enhance your strategy. Mike Rand is a freelance content writer and content marketer, currently working with the Ladder team. When he isn’t writing blog posts about the next big tech innovation, he likes to play with his dog, read, and cook.